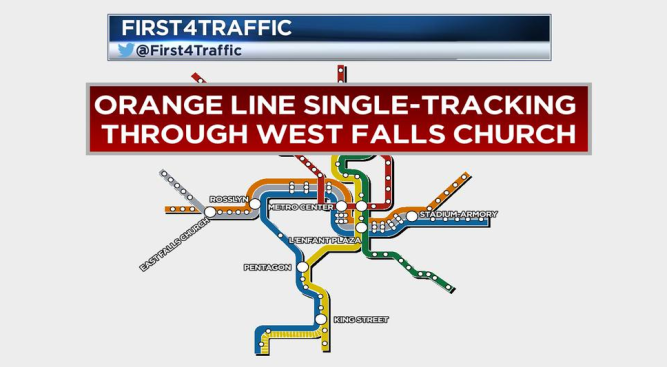 A man was fatally struck by an Orange Line train outside the West Falls Church station Monday morning. About 200 people were aboard the train at the time. Metro Transit Police say the man was struck just after 5:30 a.m. They are treating the case as an apparent suicide. Morgan Dye, a spokeswoman with WMATA, says the passengers on the train were walked back to the station without incident. Trains are no longer single-tracking. Riders may find delays in both directions on the Orange and Silver lines.